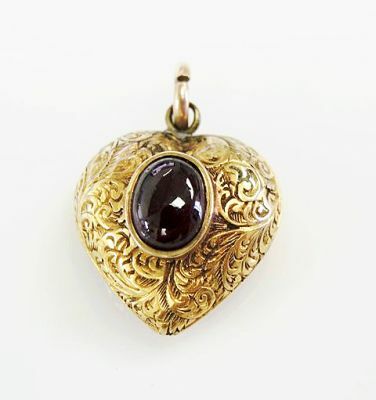 A wonderful Victorian 10kt heart shaped engraved pendant featuring 1 oval cabochon deep purplish red garnet, est. 1.15ct. 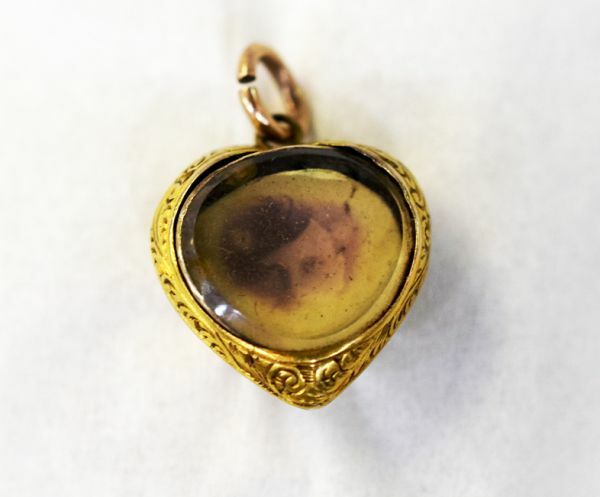 It has a glass enclosed compartment on the reverse side.